If you remember back in December last year we have mentioned the announcement of the 150 GHS TechnoBit Dice Desktop USB Miner / Blockchain Lottery Device, based on a single Spondoolies Tech RockerBox ASIC chip. This device caught our attention as it was an affordable solution for enthusiasts and people that are interested in Bitcoin ASICs and mining to get to know things. 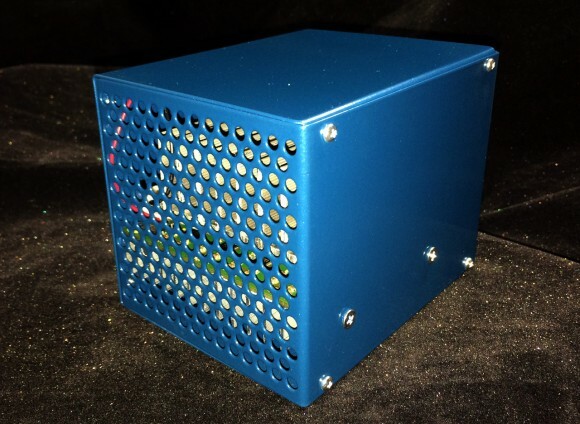 We were hoping that it will be an affordable, small, silent and easy to setup and use device that could be of interest to home users that are not into Bitcoin mining for profit, but just for fun or out of curiosity. At the beginning of this month we have ordered one unit to try it out ourselves and write a review, it was supposed to be initially shipped on 10th, but then again the date was moved to 19th and a few days later it was finally shipped and we just got it today. Here we need to mention that TechnoBit did not let the users that have ordered it know of the delay, just silently updated the dates their website, though they are quick to respond when you contact them. Thank god that the miner was not time critical as it is not a very powerful in terms of hashrate device, so a bit of a delay is not an issue here, but what about if you order one of their other more powerful miners? And so we got the device, this is actually our first ASIC miner from TechnoBit, although they have been on the market for quite a while and have quite a lot of products that they build themselves based on ASIC chips produced from other companies. So our experience with the DICE is also our first experience with the manufacture as well, what you should know is that the company is based in Bulgaria which is in the European Union, so if you are from an EU country there will be no delivery delays as soon as the item is shipped or additional customs charges. 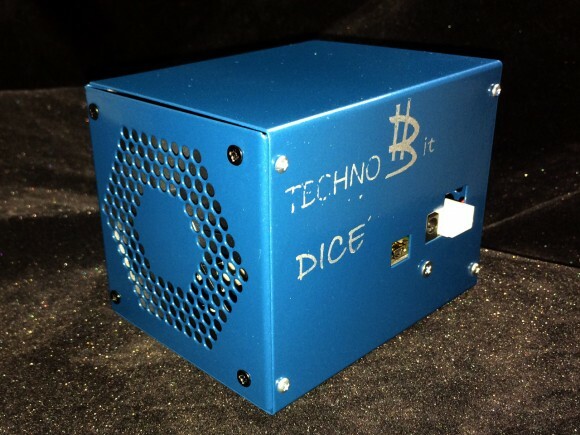 The DICE was well packaged, we have ordered the version that is only the miner and not the other model that includes a controller, so this one connects directly to a computer via USB and you need to run cgminer. You can of course also use Raspberry Pi or TP-Link controller with custom software if you manage to get them work which brings us to one of the important things regarding the DICE. It is no way a product that is easy to use by novice users and the reason for that is the lack of installation/setup manual and clear details about how to make things work including the miner software you need. 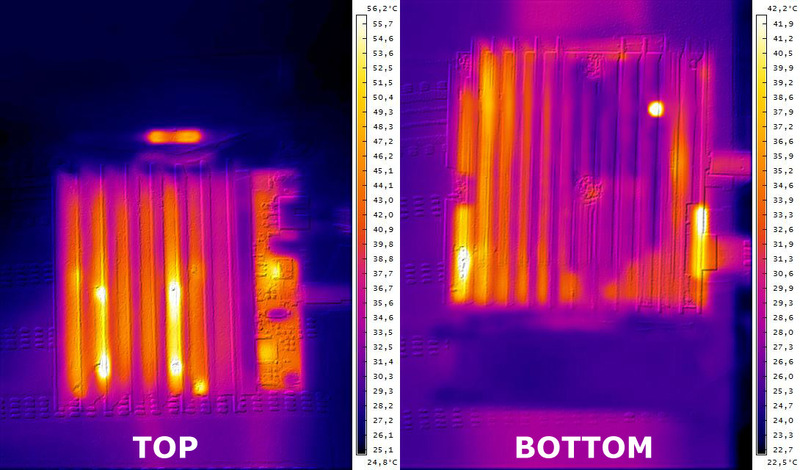 So a bit of a disappointment on the ease of use side, here TechnoBit are not doing well at all and you need to look for information on forums, including details of the parameters you need to understand in order to tweak the performance or overclock the device. 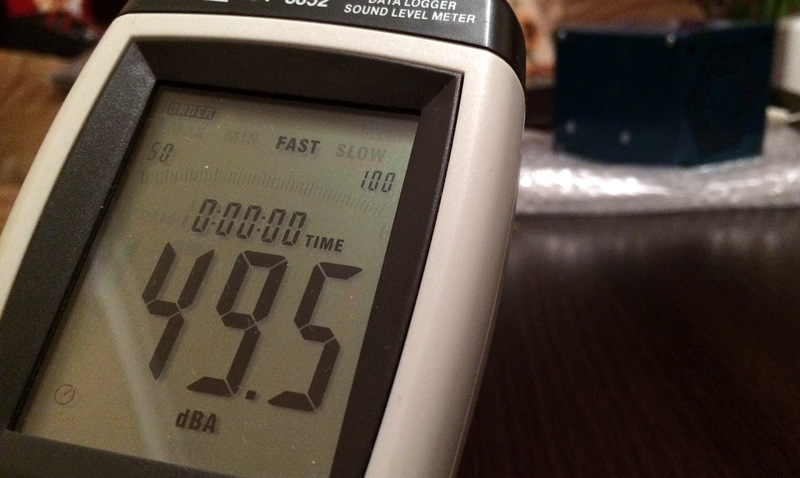 Another thing that we have noticed as soon as we turned on the DICE is that it is not very silent, though the noise coming from the cooling fan is still quite acceptable. Other than that the build quality seems to be good and the miner looks and feels like a solid product, apparently more suited for advanced users than for normal or novice users. 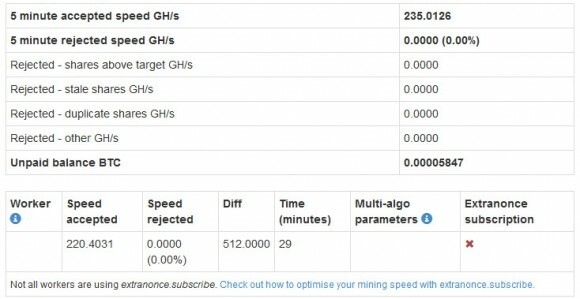 Though once you get the hang of things there should be no more problems using the DICE, we have tried running it on the NiceHash service for a bit already and we are getting higher performance than the initially promised 150-160 GHS, the service reports an average hashrate for 5 minutes in the range of 200-250 GHS and so does cgminer locally. Also Make sure that you use a pool where you can set a fixed difficulty as due to the low hashrate that this device has if the pool you use has difficulty auto adjustment and it gets too high your performance may get lower, using 128 fixed difficulty should normally be fine. There is no official source for cgminer with support for DICE available, you need to download the official release and apply a patch to it to add support for the DICE miner. This is for the Linux users as well as the ones that want to use a Raspberry Pi controller for the miner instead of a Windows PC. 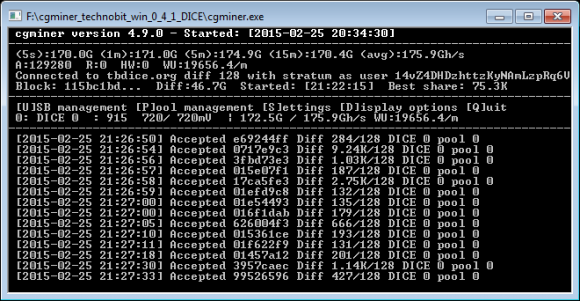 There is also an official firmware available for the TP-Link controller that you can use as a miner controller, though you probably would want to get a version of the DICE miner with the controller already packaged – this one should in theory be easier to setup and use for novice users. This are pretty much our first impressions from the TechnoBit DICE ASIC miner that we just got and plugged in to test it out if it works. In the next few days we are going to be doing some tests of the device, so stay tuned for additional details and more information in our full review of the unit.